What question do you always ask when checking references for someone you’re considering hiring? Let’s say you’re going to hire a modern marketing leader, someone who will be paid around 250k a year. And let’s say you anticipate them staying for 3 years. That’s a spend of 750k – a pretty big number. I’ve been refining my approach to these calls for several years. Last week, I called up a guy named Tim. Tim was a reference for a candidate I was recruiting. Afterwards, I sent Tim a thank you note. Of course, it took a lot of trial and error to figure out which questions lead to candid, robust, unscripted conversations – the kinds of conversations you want to have when you are considering making a major investment. 1. What was it about YOU that made you a good collaborator with this candidate? The reference will most likely open up and provide perspective, often by comparing and contrasting themselves with the candidate. It puts the candidate into a new kind of relief. This question also gives you a lens into the kind of people the candidate will get along with best in your company. 2. Tell me about a peer of this person (or a successor). How are they similar and different? Similar to the previous question, you will learn about what this candidate brought to the job that was unique and differentiated, compared to their peers. 3. What aspects of your company’s culture were a good fit for this candidate? What aspects were not a good fit? 4. When you worked with this candidate, when were they most motivated? Least motivated? What really motivates this candidate? Good performance in a job comes from Skill and Will. By the time you are checking references, you have probably evaluated the person’s skills. This question lets you get at the person’s will to do the job. 5. Is this candidate more of a start-upper, scale-upper, or optimizer? I’ve found that giving people options helps avoid a leading question like, “We need someone who will quickly scale operations; what experience does this candidate have that is relevant?” It’s important to communicate the options without any value judgment on which is the ‘best’ choice. However, beware that sometimes their answer will fit outside of the options you provide. 6. How could this candidate have moved up faster? Why is that? This very pointed question roots out the candidate’s motivations, ambition, and – often – their political savvy. 7. What feedback did you give this candidate on their developmental priorities? How did they react, specifically? Again, ask for actual data and past experience. Audit your questions and identify any that ‘lead the witness.’ Rephrase if necessary. Ask for actual data and past experience. Realize that some of the best insight is comparative. ‘How’ and ‘why’ and the simple ‘Hmmm’ are some of the best follow-ups you can employ. 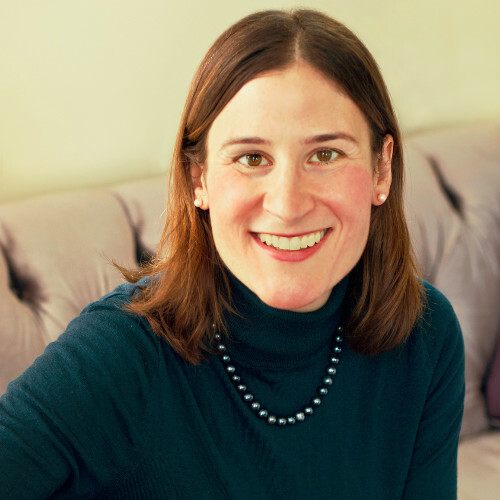 Erica Seidel leads The Connective Good, an executive search practice recruiting the rare modern marketing talent you wouldn't find on your own. You can receive practical tips on recruiting great analytical marketing talent by subscribing to Erica’s newsletters at www.theconnectivegood.com.